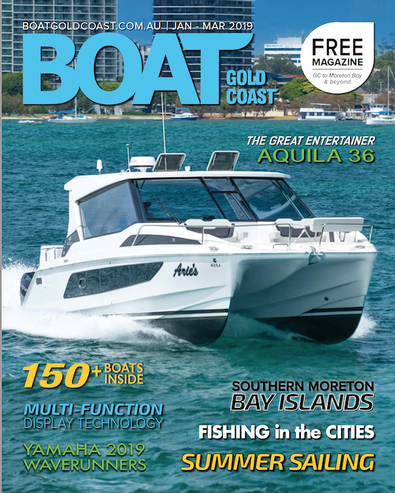 A free lifestyle magazine focused around boating on the Gold Coast and east coast of Queensland, Boat Gold Coast is a treasure trove of stories and information for anyone interested in Australia’s boating lifestyle trends, industry capabilities, and boating tourism. Our aim is to promote boating culture to the wider community by showcasing boats, equipment, locations and events. Our team of contributors are local influencers, and have the passion for everything boating and for the waterways lifestyle. We deliver noteworthy boat information on products and services to the Gold Coast boating community, who are the driving force behind the largest recreational boating industry in Australia. We are at the forefront of boating life on the Gold Coast and beyond – bringing to light issues of concern to you as boat owners, and keeping you informed of the local boating news and the latest developments in technology and design. We are archivists of local boating histories and herstories, ensuring that these stories are kept for posterity. We collaborate with members of the boating industry, and help promote their work, to allow us to continue enjoying the boating life as we know it. We love boating for work, for fun, for thrills, and for our advocacies. It is imperative for us at Boat Gold Coast magazine to continue to provide practical advice on making the most of your precious time on the water.